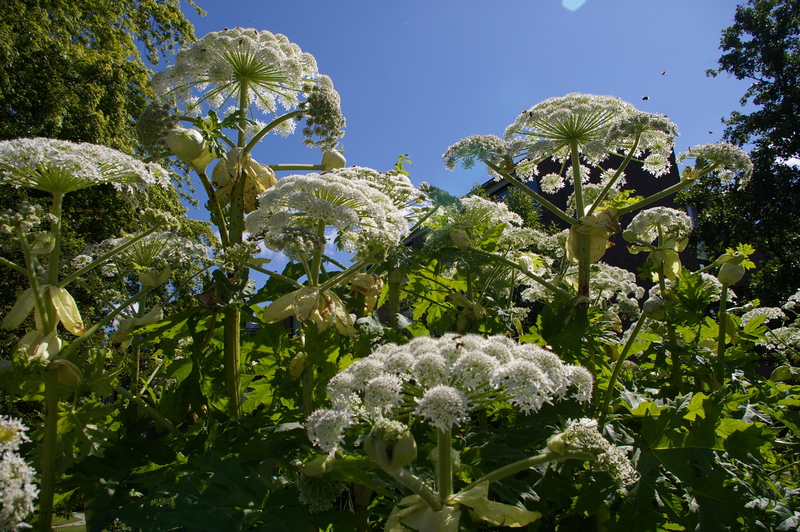 Introduced from the Caucus Mountains in the 18th Century, Giant hogweed is a particularly unwelcome invasive species that has become established in parts of County Galway. It favours damp habitats such as riverbanks and roadsides and ditches. Giant hogweed is similar in appearance to our native hogweed, however, it is much larger and can grow to 3 – 5 metres tall. It has large umbrella shaped flower heads bearing thousands of tiny white flowers. 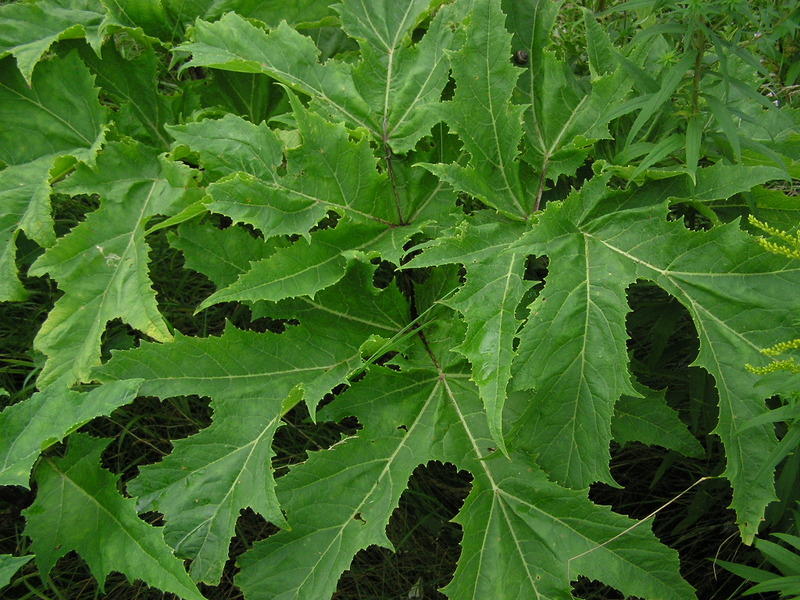 The leaves are lush green and jagged in appearance and may reach up to 2 m long. The hollow ridged stems are green with reddish blotches. 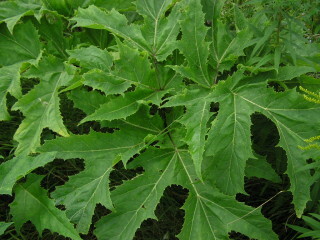 They are covered with white hairs and may measure up to 10 cm in diameter. Giant hogweed is a hazard to human health as it produces toxic sap in the stems and leaves. Contact with the sap provokes a severe reaction in the skin on exposure to sunlight causing blistering and scarring which may persist for several years. Giant hogweed is also an environmental hazard as it spreads rapidly forming dense colonies which crowd out native plant species. In the winter it dies back exposing bare soil which is vulnerable to erosion by weather or flood waters. This may lead to siltation of rivers and loss of spawning beds for fish or flooding. 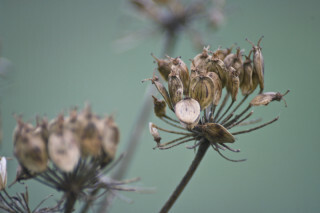 The plant lives for about 4 years, flowers once, sets seed and dies. Each plant can produce 5000 – 100,000 seeds which may remain viable in the soil for 1 – 5 years. Seeds can be transported short distances by wind or further afield in water or from movement of contaminated soil. 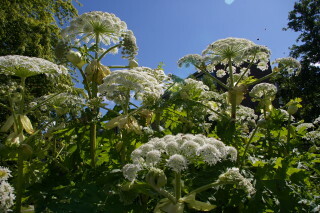 Giant Hogweed is listed on the Third Schedule of the European Communities (Birds and Natural Habitats) Regulations, 2011 (S.I. No. 477 of 2011) which makes it an offence under Regulation 49 to plant, disperse, allow or cause to grow this plant in the Republic of Ireland. A licence may be obtained in certain circumstances to permit these activities. 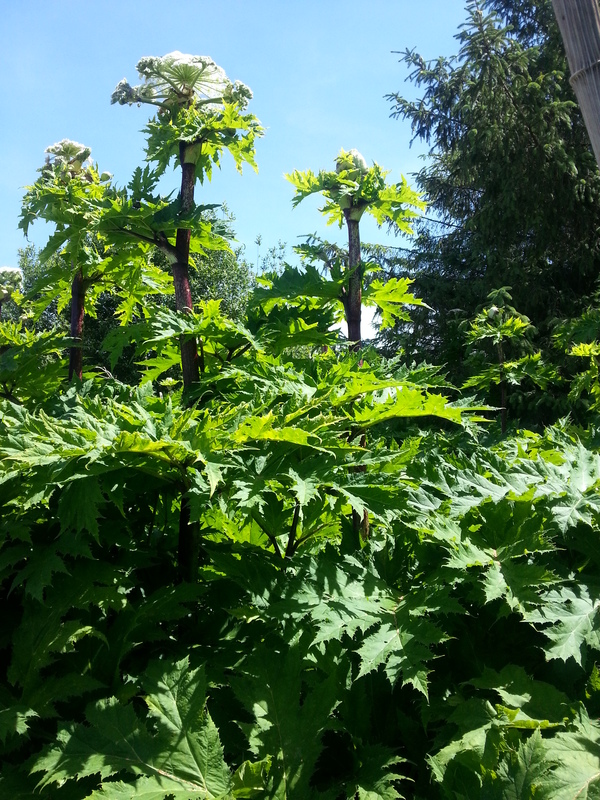 Inform landowners that have Giant Hogweed on their property. Control: Use the most suitable method to remove the infestation from your property (see below). 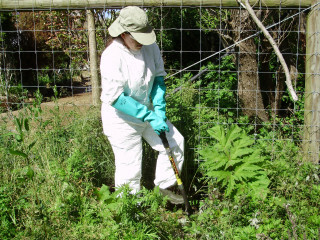 Full protective clothing, including rubber gloves, boots and a face shield are required when working around Giant hogweed to avoid the sap coming into contact with the skin. Cutting is largely ineffective in controlling Giant hogweed and not recommended due to the risk of exposure to the toxic sap. Root cutting: Individual plants may be killed by cutting at a 45 degree angle 15 cm below ground level with a spade in April or May when the soil is moist and soft. Grazing: By sheep, cattle, goats or pigs from April to early autumn over several years can be effective in controlling the weed in suitable sites. Foliar spray: For dense stands using knapsack sprayer. Note – on river banks that the area should be reseeded with suitable species soon after to stabilize the soil and suppress weed regrowth. Stem injection: Can be used for smaller infestations or in sensitive areas but extreme caution is advised due to the risk of contact with the toxic sap. Please take care when using herbicides, and carefully consider your impacts on nearby land or waterways. Read the label carefully, and always use appropriate safety equipment. 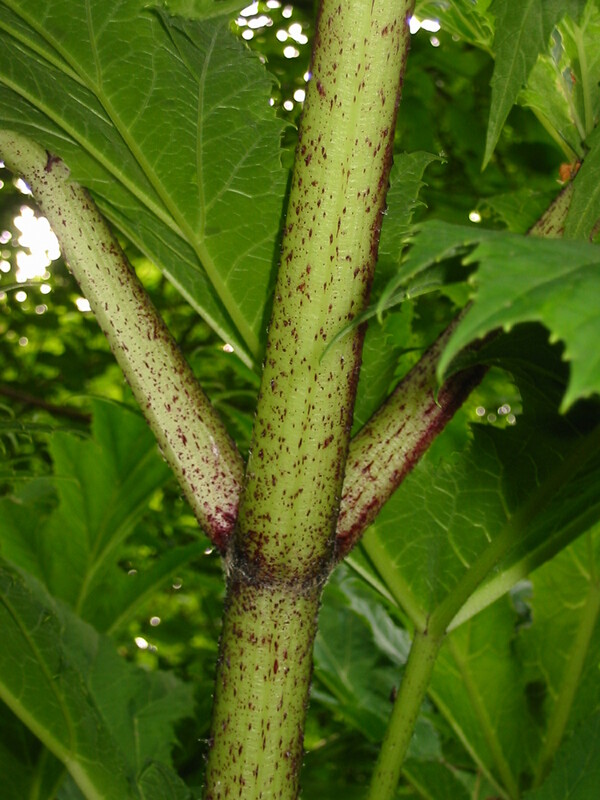 Herbicide treatment of Giant hogweed is most effective in the spring or early summer (April – May) while the plant is actively growing but still small enough to be easily treated. Seedlings germinated after the first treatment should be spot sprayed each month. It may take several years of meticulous annual treatments to clear the infestation, after which you should perform annual checks to control any new seedlings growth.